means hours, if not days behind the wheel. That much time sitting in a truck can leave everyone with sore, aching muscles. Chronic back pain and injuries are common for any profession that requires many hours of prolonged sitting. In the contract snow removal business, drivers can be sitting in their trucks for hours at a time without taking the proper measures to protect their backs. 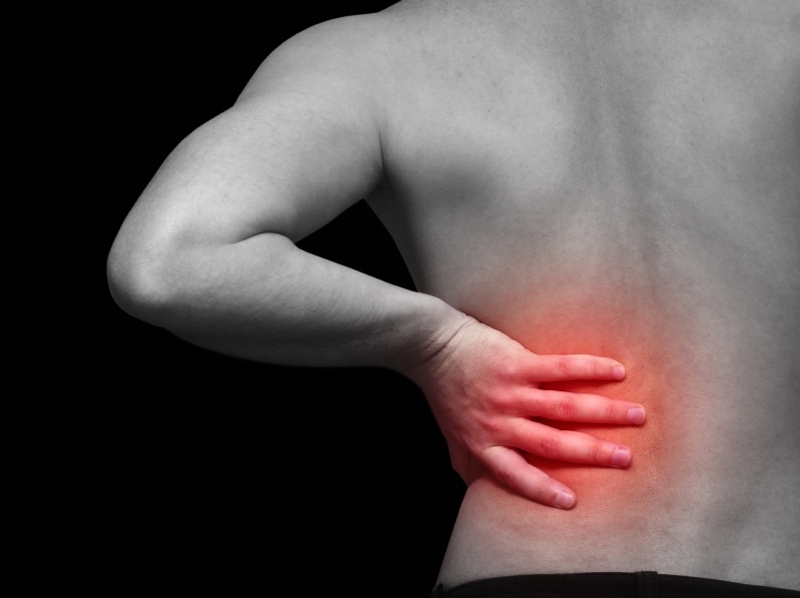 Back injuries can lead to down time, meaning a loss of money for the employer and the employee. According to the National Center for Biotechnology Information, back pain costs employers 7.4 billion dollars per year in employees ranging from 40 to 65 years old alone.1 It is not difficult to take preventive measures to prolong the onset of chronic back pain or injuries. All you have to do is keep these recommendations in mind when heading out to tackle the next snow event. Get out and stretch, if you can. When you’re out clearing lot after lot, time is tight and the weather is often nasty, so it’s not always practical to take a stretch out of your truck. But if the weather, and time, allows for it, take a break to walk around and stretch your muscles. Stretching warms up your muscles and gets the blood circulating which reduces your chance of injury and stiffness. Ergonomic experts suggest getting out and stretching about 5 minutes of every hour. If that isn’t practical, try to set the goal of stretching after you finish each job. Be aware of how you move. This isn’t something too many people think about, but it should be. Even the most subtle motion, like buckling your seatbelt, can cause back discomfort or injury. Avoid all unnecessary twisting. Be aware of how you move now so you won’t have to worry about which motions will “throw your back out” later. Use lumbar support. If the seat in your truck has a lumbar support feature, use it! Not only is this going to make you more comfortable right away, it’s going to reduce the chance for long term back problems. If lumbar support is not available in your truck, simply roll up a towel and put it behind your lower back. Adjust the seat and use the “9 and 3” position. Move the seat forward and angle it correctly. By moving the chair forward you’re not straining to reach the pedals or the steering wheel. Position your chair at approximately 100 to 110 degrees. You don’t want to sit up too straight, but you shouldn’t be slouching either. By placing your hands in the “9 and 3” position on the steering wheel instead of the “10 and 2” position, you can rest your elbows on the arm rests of your chair, taking some of the strain out of your upper back. This will also make your wrists more comfortable. Use gel seat cushions. When operating a plow there may be some vibration in the cab. This can cause discomfort to the driver’s back. A gel seat cushion will help to absorb some of that vibration. Use heated seats, or a heated seat cover. A heated seat, or heated seat cover, is going to act just like a heating pad that you would use at home for back pain. The heat will help relax muscles, dull pain, and promote proper blood circulation to the affected areas. However, be cautious when using a heated seat and then immediately stepping into the cold. The sudden shock of the cold temperature on warm skin can cause muscles to stiffen, thus making them more prone to injury. So, when leaving the warmth of your truck don’t forget to stretch! Don’t move anything until you stretch and warm up your muscles. Slow down! If you are driving too fast across the pavement and hit a bump, it is going to cause your body to move in a jarring way, which could be very damaging. The same goes for hitting a snow-bank while stacking snow. And your back isn’t the only thing taking a toll; your entire body is, not to mention the stress you’re putting on your equipment. To avoid these issues, keep to the recommended plowing speed of no more than 14 mph. Back pain is a serious problem in many professions nationwide, including the contract snow removal profession. If you get a tingling sensation or begin to feel numbness in your legs, thighs or back, it’s time to get up and move around. Sitting for too long without giving your back a break isn’t healthy and can result in some lifelong medical problems. It’s a fact that the injuries derived from improper sitting habits costs businesses billions of dollars per year. By learning how to sit in a way that is most beneficial to your spine, you can save time, money and your health. 1 “Back Pain Exacerbations and Lost Productive Time Costs in United States Workers.” National Center for Biotechnology Information. 15 Dec. 2006: 3052-60. Web. 11 Jun. 2013.